On the Feast of the Most Holy Rosary, 7th October, Catholic across the UK are being asked to respond to a call from the Right Rev. John Keenan (Bishop of Paisley) to pray in their parish churches, or in other chosen venues, at 3pm. They are asked to pray the Sorrowful Mysteries of the Rosary in Penance & Reparation for the sins committed within the Church and the nation against innocence and purity. 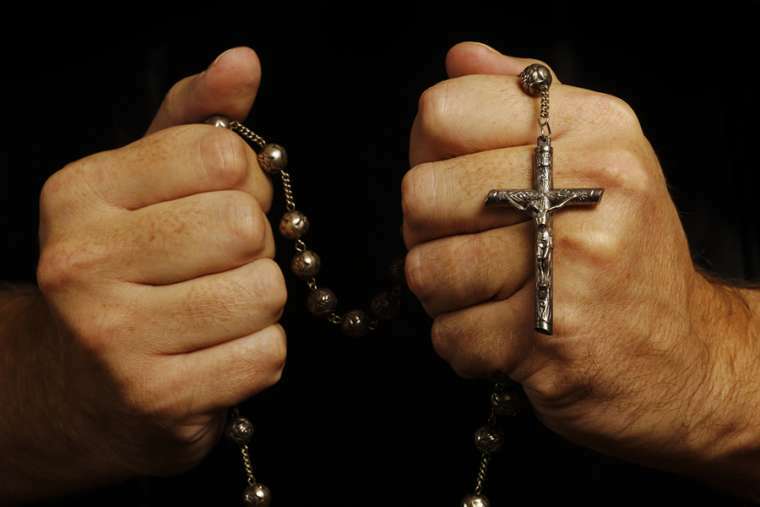 Parishes, or groups of parishes, have been asked to hold Rosaries and Devotions in the form of a Holy Hour of Reparation in their churches and to encourage their families to gather together to pray the rosary at home. The important thing is to pray for a purification within the Church and for a renewal of clerical life and a spirit of care and protection for the vulnerable and weak so that the church visible might be reformed and renewed in head and members. The Diocese of Dunkeld, one of the eight Roman Catholic Dioceses in Scotland. Dunkeld Diocese comprises 35 parishes of 43,000 Catholics from a total population of 400,000 (10.8%) served by 35 priests and 4 deacons. In area the diocese is 8,495 square kilometres (3,280 sq. miles). It is thought that the diocese was constituted as far back as the middle of the ninth century. The first occupant was styled Bishop of Fortriu, the name by which the kingdom of the northern Picts was then known. This bishop was also styled Abbot of Dunkeld, perhaps holding jurisdiction, formerly enjoyed by Iona, over the other Columban monasteries in Scotland. 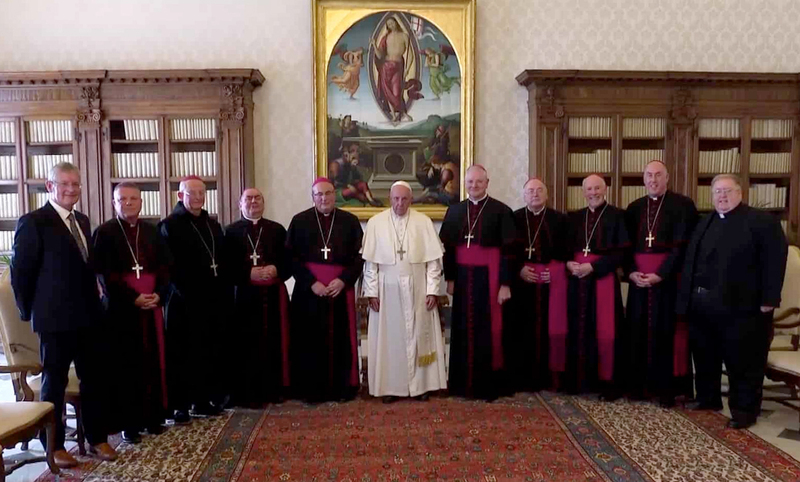 The new bishopric appears to have included a great part of what afterwards became the Diocese of Argyll, and retained its jurisdiction over various churches representing old Columban foundations. There were thirty‐five bishops of Dunkeld from its foundation until the suppression of the Catholic hierarchy during the Protestant Reformation in the sixteenth century. The pre‐Reformation cathedral, situated in the Perthshire town of Dunkeld, was erected between 1220 and 1500. After the Reformation the cathedral fell partly into ruins, although the choir is used for Presbyterian worship. The Catholic Church restored the diocese on 4 March 1878, by decree of Pope Leo XIII. Today, Dunkeld is one of the suffragan sees in the archiepiscopal province of St Andrews and Edinburgh, and includes the counties of Perth, Angus, Clackmannan, Kinross, and the northern part of Fife. Today the diocesan cathedral is dedicated to St Andrew and is located in Dundee rather than Dunkeld, Dundee being the residence of the majority of the Catholics of the diocese and the largest centre of population. The cathedral chapter, erected in 1895, consists of a Provost and seven canons. Bishop Stephen Robson is the 9th Bishop of the Diocese of Dunkeld. We hope you find the site informative and that it will bring you up to date with all the events happening in our diocese. 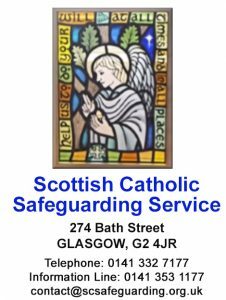 You will also find links to the wider Church community, not only in Scotland, but worldwide.